PRICE REDUCED! 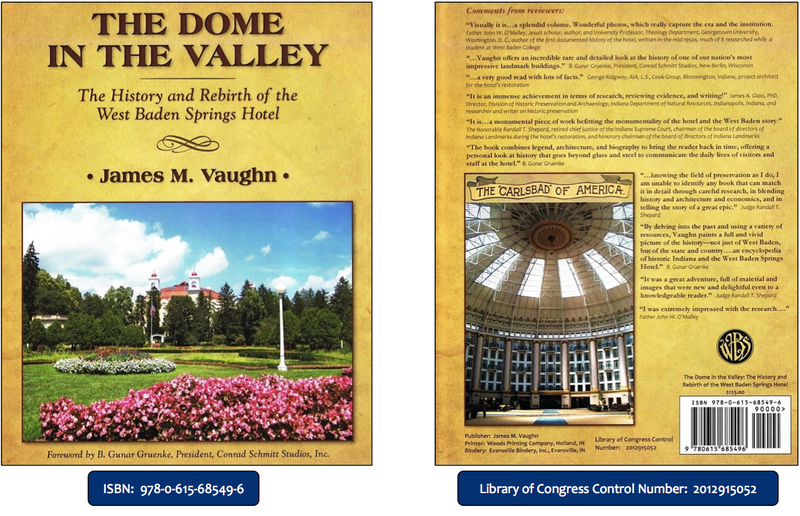 The comprehensive history of the West Baden Springs Hotel, with less than 70 copies of the limited- edition remaining, is now reduced 40% for closeout. Go the Order/Buy Now page to order your copy at the closeout price. The limited-edition, 643-page, hardbound book in large format (8 3/4” X 11 1/2”), along with its 900+ images, chronicles the compelling 158-year story of the hotel—its builders, owners, restorers, and prominent visitors.